Oh, oh... Looks like trouble is coming our way... Can't tell yet if they're friendlies or Sacha Baron Cohen and his film crew??? Anyway, still can't tell if it's Sacha Baron Cohen and his entourage or the real thing heading at us... Can any of you tell from the photo below? 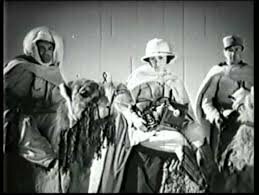 If you do join the Foreign Legion, say hi to Buster Crabbe for me. Relative of Audrey Hepburn is suing a restaurant in Suzhou City, China, for "personality rights infringement." In English, the joint is called "Angel's Lakeview Garden Cafe," but in Chinese characters they use Audrey Hepburn's name. And inside, the greasy chopstick makes use of Audrey Hepburn in its decor, menu, etc. PLEASE don't tell us you posted this at MIDNIGHT! As Maurice Chevalier sang: "Ah yes, I remember it well...". Salut, was unaware of Ben M.'s alleged transgression but had a quick gander after reading your post. "The Lives of a Bengal Lancer" was a product of its time. Very loosely based on a book by an ex-Lancer officer (the officers and NCOs in the British Indian Army were mostly Brits and the common soldiers they commanded were Indian). Anyway, I think Ben M. can be forgiven. If anything, Ben M. should have related what infamous film reviewer Adolf Hitler said to Lord Halifax (British Foreign Secretary in 1937 at the time of his meeting with Hitler) about the movie (it was one of Hitler's favourites, apparently), Hitler stating that it showed a: "handful of Britons holding a continent in thrall. That was how a superior race must behave and the film was compulsory viewing for the S.S."
Would be interesting to see what someone in India thinks of this film? I believe the only problem of eliminating the voice overs announcements of the up coming next three movies does a disservice to the visually impaired..additionally not having a voice over for the listing as to rating, closed captioning and descriptive audio does another disservice...if I can't see how am I able to determine there is descriptive audio...I haven't understood this oxymoron..it is descriptive but I have no method to discover that fact. Another of life's conundrums. Joe Flaherty should host TCM Underground. I think the voiceovers have been eliminated. Thanks Lawrence... Robin Bittman is still doing voiceovers for the promos for the Wine Club, TCM Backlot, etc. TCM went with wordless schedules so she doesn't do the continuity stuff anymore announcing movies coming up next, etc. - she states she'd like to try being an on-air host. TCM bigwigs chose to cut her work back to save some dough, but IMHO, they should have cut some/all of the various on-air hosts and expanded Robin's work doing voiceover stuff or even made her an on-air host. P.S. Ain't Robin's agent. Not a relative. Never met her. He's a good choice if he'd be willing. Him or Kevin Spacey. Either one seems at least more personable than Alec Baldwin. I'd be interested in anyone else's suggestions. TCM couldn't afford to pay any of those dudes - Woods, Spacey, Baldwin - unless they did it for next to nothing and had the time and inclination. I haven't a clue who could replace Ben M., Delaney, Vasquez, etc. and make people happy? Anyway, I've been off the radar so long I don't know if TCM still uses the voice over announcers? Were they cut to save money?? Belated Happy New Year and Happy Holidays! Yes, I'm still around. Life changes have meant I haven't been able to post as often as I once did (Please hold the applause). 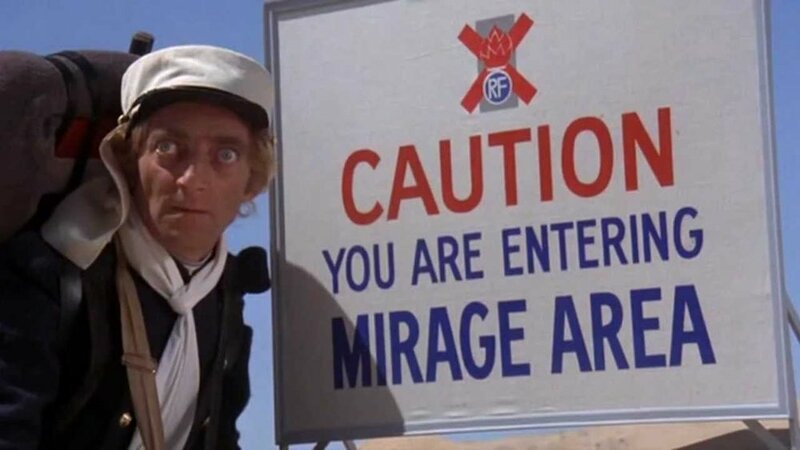 If you can't see that TCM does essentially, "stick to classic movies," then you need to step back, take a breath, and yes, simply change the channel when they're showing something you're not interested in. Surely you have more to do than just watch TCM 24/7. I've been watching this channel for over 10 years and I haven't remotely exhausted what it has to offer. Tend to agree with this as well as much else that has been written in this thread. Nothing is perfect, and that goes for TCM as well. But there are so many alternative choices today it's amazing. IMHO, TCM is pretty good for what it offers. Do I like everything? No. I think TCM needs a new host. Not multiple hosts, but one person. How to find a person who would please everyone is the problem. With all due respect to the likes of Dana Delaney and Ben M. and others, I tend to ignore them and wish they'd hurry up and get to the actual film. That is probably because I remember Elwy Yost from TVO's "Saturday Night at the Movies" and so tend to find TCM hosts lacking by comparison. I don't know, maybe the continuity announcers could do more (I don't know the names of the people who do that for TCM?). Toronto City TV's late Mark Daley was an excellent continuity announcer famous for his witty intro's to movies. You never saw Mr. Daley, just heard his voice (he did do the news for City TV, so you could see him doing that). So maybe dispense with the hosts on camera and just have a "voice" do the movie intro's with the movie trivia, etc. I mean, do we really need to see Ben M. or Dana Delaney standing or sitting and telling us the movie title and a few bits of trivia? Then again, others probably love them for what they do and wouldn't want to see any changes. Anyway, just my few Canadian cents worth. And probably not even worth that. 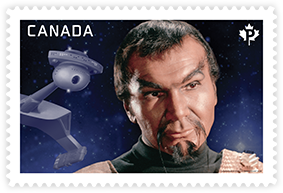 Anyway, one more thing about Jimmy Doohan is that both he and William Shatner starred in the 1953 CBC TV series "Space Command." Only 1 of the 150 episodes made of this Sci-Fi series still exists and it's probably locked away in a vault somewhere. The series ran from 1953 until early 1954. You can watch Doohan in the National Film Board short made in 1955 titled: "Strike in Town." This 37 minute film was made in Hanover, Ontario, and concerns a strike by woodworkers at a local furniture factory (the Knechtel factory was used for filming. Knechtel was one of the largest furniture factories in Canada in the past - it closed and was demolished in 1983). Doohan plays the son of a woodworker union boss (the dad is an Irish-Canadian and Doohan's own family background was Irish too). Doohan could do accents and he tried out a number of different accents for Gene Roddenberry for Doohan's role on "Star Trek." Jimmy was given much leeway to create his character and so he chose a "Scots accent," as well as giving the character Doohan's own middle name - Montgomery. Yes, he was in WWII RAF and lost part of his finger in battle. 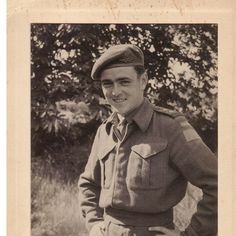 As a teenager growing up in Sarnia, Ont., Jimmy Doohan joined the Royal Canadian Army Cadets and he rose to be a cadet major. This would have been between 1938-1940 while Doohan was attending the Sarnia Collegiate Institute (high school). In Canada, lots of high school-aged kids join either the Army Cadets, Air Cadets, or Navy Cadets (high school stoners who toke probably join the Space Cadets... ). Then when you reach adult age, you can then join the regualr forces if you wish. In 1940, Doohan joined the artillery as a private. By June 6, 1944 - D-Day - Jimmy was a lieutenant in the 13th Field Artillery Regiment of the 3rd Canadian Division. Doohan hit the Canadian beach on D-Day (Juno Beach was the Canuck sector, Sword and Gold were Brits, Omaha and Utah were Americans) and saw combat, taking out two German snipers..At about 11:30 p.m. on D-Day he was hit by friendly fire, being sprayed with machine-gun fire from a nervous Canadian sentry. Jimmy was hit with six bullets - four in his leg, one mangled the middle finger of his right hand (finger had to be amputated), and one hit his chest. The chest bullet would have been fatal if it had not been deflected by a silver cigarette case that had been a gift from Jimmy's brother. Doohan was evacuated to England and after his recovery and rehab he volunteered to be attached to the Royal Canadian Air Force as an artillery spotter. He learned to fly and was then posted to the 666th Air Observation Post Squadron, RCAF, in Holland where he was when the war ended. In Jimmy's autobiography, "Beam Me Up, Scotty," there's a chapter titled "Giving Hitler the Finger," that describes what happened to him on D-Day. Not unless you're a Canadian in the reverse situation - i e, visiting a Krispy Kreme shop in, say, Arizona. The Canadian dollar value related to the U.S. dollar is closely tied to the price of oil - price of oil goes up, Canadian loonie rises in value; oil price drops, Loonie drops with it. That is because Canada exports a large amount of oil to the U.S. every day and the oil has to be paid for in either U.S. or Canadian dough. Note that Canada plays little role in the actual price of oil at any one time. Canada has to react to the changing oil prices 'tho. It doesn't start until December 1, 2016, when you will be able to pick TCM and pay a monthly amount to watch TCM. The problem could be, as it may be for many other channels, is that if not enough people "pick" TCM, it may not be worth TCM's time and money offering the channel. Other channels may go under too if they can't get enough subscribers under "pick and pay." Since March 1, 2016, you can pay for a basic cable package ($24.95 monthly from Rogers, a major Canuck cable company) and then add a smaller package of channels (Rogers "theme" pack that includes TCM is $5.00 per month). So, if you're a Rogers customer, you have to pay Rogers $29.95 monthly to get TCM (plus tax and equipment rental). No idea what cut of that goes to TCM in Atlanta. After Dec. 1 this year, it'll be interesting to see how much it will cost to "pick" TCM individually as a cable channel you want to watch. Will it be $10.00 a month? $50.00 a month?? Or $2.00 a month? And how many people will actually choose TCM at whatever price?? Will it be 1,000 Canucks? 10,000 hosers?? Or 100,000 denizens of the Great White North?? I don't know what, if anything, might happen? 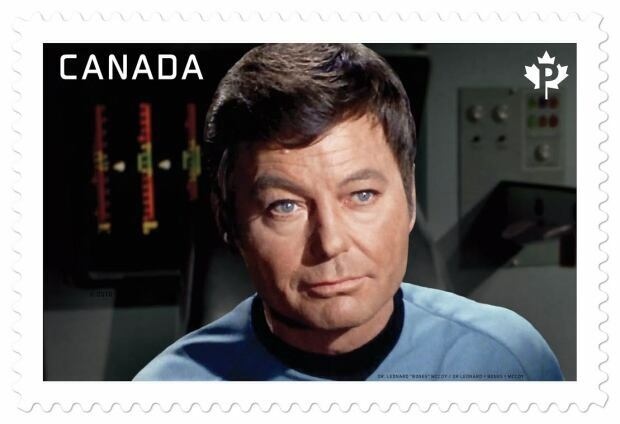 And, Miss W, the stamp was unveiled this week at the Canadian Medical Hall of Fame in London, Ont. And, and, y'all, I happened to watch yesterday, by chance, Kelley's "film debut" in the 1947 flick "Fear in the Night." It's too bad that I missed posting the link to "Fear in the Night" before March 30 as TCM aired the 1956 remake "Nightmare" (both films screenplay and direction by Maxwell Shane) on that date. If I recall correctly, FredCDobbs never worked on the film "Mondo Cane" and so never wrote about working on that movie. I was a cameraman on a Techniscope theatrical documentary film back in 1965. It was made for an Italian company. It was one of those in the long series of ?Mondo Cane? type documentary films that were made for the big screen by the Italians in the ?60s. They were very popular in Europe. The greatest ?Mondo? cameraman of them all, Benito Frattari, was our chief cameraman. Gray Frederickson (who later received an Academy Award as a co-producer for Godfather II) was our producer. Luigi Vanzi was our director. Vanzi had a general rule that we shouldn?t shoot more than about 20% to 30% of our film with a hand-held camera, since the theater audience would begin to get dizzy watching a lot of hand-held scenes on the big theater screen, even in a documentary. We had to use tripods quite often, whenever we could. When I filmed the Watts Riot I was not able to use a tripod, and when I filmed a night time shoot-out between the cops and the rioters, the jumpiness of the camera movement didn?t matter. Also, I used the widest-angled lens we had available, and that kept the obvious camera jiggles to a minimum. Techniscope was basically half-frame 35 mm film. Usually a standard 35mm frame has 4 perforations on each side of the frame. A claw pulls down a standard frame 4 perfs. But with Techniscope, the cameras were geared up with a cam that pulled down just two perfs at a time, and that made each half-frame image very wide, like Cinemascope, but without the need of an anamorphic lens. What was lost in grain quality was gained in sharpness of the image because of the lack of all the glass required in an anamorphic lens system. I think the Italians made many drama films using this system. We were told to use Cooke #3 lenses (either 3 or 2, I can?t remember) as much as possible. They were the best in the film business at that time and they produced a very sharp image. I used a portable 35 mm Arriflex converted to Techniscope. Unfortunately, when the film was narrated and edited in Italy, the film company apparently did a very bad job with the narration and editing, and the film was never shown in the US, although we had many spectacular scenes from all over the country, and many incredible news events on film, such as the full-scale Watts riot of 1965. That production represented one of the luckiest moments of my life. I saw ?Mondo Cane? on the big screen in a theater in New Orleans in 1963. I was a young TV news cameraman at the time. I made a mental note of the Italian name of the chief cameraman. A few months later, a couple of co-producers walked into my newsroom to ask if we knew of any unusual documentary filming locations around New Orleans. They said they were making a ?Mondo? film. I went to work for them that next weekend. I quit my regular job a few weeks later and traveled around the country with one of their teams for the next six months. We were split up into about four teams to cover the whole country. I traveled mainly with Vanzi, but I also got to work a lot with Frederickson, and I got to meet Frattari when we were in New York. I think the whole ?Mondo? series started in 1959, with a film titled ?World by Night?, (?Il Mondo de notte? ), directed by Vanzi and scripted by Gualtiero Jacopetti. Jacopetti later became a fairly famous director of these types of films, especially ?Africa Addio? in 1966, which I saw in a San Francisco theater. Frederickson later told me that Jacopetti got into some trouble in Italy and even went to jail for a while, allegedly for paying a couple of small African tribes to start a war with each other. Seems that a few Africans were killed during the production of the film. So, to answer your question. Look for some Italian drama films of the ?60s and later, to see more Techniscope movies. As for Johann Rush, he and two other American cameramen - Morton Heilig (1926-1997) and Baird Bryant (1927-2008) - worked for Benito Frattari doing the filming for director Luigi Vanzi for the Italian "Mondo" documentary film "America paese di Dio." Gray Frederickson was executive producer. Alternate English names for the film are "So This Is God's Country?" and "America, God's Own Country." Most movie databases only give credit to Benito Frattari as cinematographer or photographer and ignore the cameramen who worked for him on the film, but not all. In 1965 I worked as a documentary cameraman with the cameraman of "The Cool World". He was Baird Bryant, a non-union cameraman who did some documentary and feature work. He and I worked on an Italian ?Mondo? type documentary. Baird was telling us on the crew about how he had just finished up a feature film in New York. I think I saw the film years ago. Fans, we've got a classic film challenge coming your way. This year for The Academy 31 Days of Oscar we're going to play a game inspired by "Six Degrees of Kevin Bacon." Each film we show in February will link to the next film by one actor. So if we show TOP HAT ('35) first, then we could connect with Ginger Rogers, and the next film on the list might be KITTY FOYLE ('40). We won't repeat any actor connections from film to film, and we won't repeat any films throughout the month. The best part? The first film and last film of 31 Days of Oscar will connect as well, making for 360 degrees of connection. Throughout the month, we'll ask you to figure out the connections between each title. Get ready for it. It's supposed to be for February. Have no idea if there are any prizes to be won? "Journey in Time" featuring his film footage shot in Dallas and San Francisco in the 1960's. It's an anti-drug use film narrated by Alan Hodd. It came out in 1971. The film is available in three parts on YouTube, but I don't think I can post the YouTube link here. If you use the phrase "journey in time part 1 of 3" you will find it and can watch it. Campy, I suppose, and depressing, and makes you realize how little things have changed. Also, don't forget the Italian "Mondo" film "So This Is God's Country" that Mr. Rush did some filming for, working for cinematographer Benito Frattari and director Luigi Vanzi (Gray Frederickson as producer). The entire movie is available on YouTube. Just use the phrase "america paese di dio (1967) film completo you tube"
"America paese di Dio" is the Italian title. In 1986, Mr. Rush, while working as a newsman/cameraman in Hattiesburg, Miss., did some investigative work about Robert Easterling's claim to be involved in the Kennedy assassination. Harold Weisberg has written many books about the Kennedy assassination and the letters from Mr. Rush detail his experiences in New Orleans and after. Many of the letters contain little biographical stories about the life of Mr. Rush. Oh, one more thing, one more thing, Mr. Rush had a theory about the Zapruder film. You can see a film about this on YouTube that was made by Mr. Rush and by Hattiesburg, Miss., dentist Dr. Michael West (West was also a medical examiner who later faced disgrace for his work in court cases). Use the phrase "rush west zapruder film study." The voice at the beginning of the video is either Mr. Rush or Dr. West. I don't know? Johann Rush passed away in Kirtland, New Mexico, on Dec. 12, 2015. (Oswald was president of the local branch of the Fair Play for Cuba Committee and was distributing leaflets outside the International Trade Mart in New Orleans on August 16, 1963). Mr. Rush also did freelance news camera work for the major TV networks, including being present and filming some major civil rights events in the U.S. South. One example is the September 29-October 1, 1962 enrollment of James Meredith at the University of Mississippi. The film is available for viewing on YouTube. "america paese di dio 1967 film completo documentario"
Mr. Rush also later worked as a news director in Hattiesburg, Missisippi, and lived and worked in San Francisco, California, before retiring to New Mexico. An interesting man with a long and varied career. Any Boxing Day movies ever made?